The Annual Gauteng Motor Show featuring Atomic Junkies is one of the largest, most action packed motoring events in South Africa and promises to bring you more action packed excitement in the years to come. Now proudly brought to you by Thebe Exhibitions & Projects Group, Southern Africa’s most forward thinking and successful organisers of world-class exhibitions and events. Show casing all aspects of the motoring industry, the Gauteng Motor Show featuring Atomic Junkies also offers an entertainment line-up unlike any other motoring event in South Africa ….. drifting, aerobatic airplays, bike stunts, advance driving experiences, track experiences, go-kart rides, simulators, helicopter rides, competitions, a wide range of kiddies entertainment & music! These are only some of the things one can expect to find at the Gauteng Motor Show featuring Atomic Junkies. The event is a fun family day out, offering something for men, women and children of all ages. Exciting surprises in store for all! 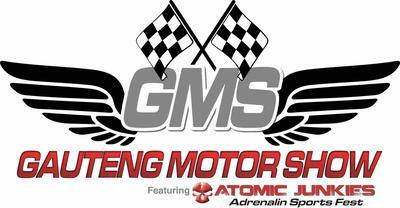 Of all the motor shows in South Africa the Gauteng Motor Show featuring Atomic Junkies 2013 is the one not to be missed!